If you want more control over your Mac using your Magic Mouse or trackpad, BetterTouchTool puts hundreds of actions at your finger tips. Along with award winning automation program, Keyboard Maestro Automate Everything On Your Mac with Keyboard Maestro [Mac] Automate Everything On Your Mac with Keyboard Maestro [Mac] I've written several articles about Mac automation, including a MUO Automation Guide on how to get started with Apple's Automator and the built-in OS X features for creating smart folders, playlists, albums, and mailboxes. But... Read More , it’s one of my most recommended automation tools for Mac power users. We’ve taken a look at getting started with BetterTouchTool Become A Power Trackpad User With BetterTouchTool Become A Power Trackpad User With BetterTouchTool It's especially useful for Mac users who do lots of work in applications like iPhoto or Aperture, or who surf the web. Read More as well as how to use some of its more advanced features Power Up Your Mac With Advanced BetterTouchTool Automations Power Up Your Mac With Advanced BetterTouchTool Automations I started using BetterTouchTool back in 2011, and since then it has become one of the top three Mac applications for boosting my productivity and streamlining my workflow. Though BTT can be used by any... Read More in the past. Believe it or not, there are even more powerful controls unique to this program. After a little setup, you will be amazed by how much time you can shave off repetitive actions or complicated workflows. BetterTouchTool is still a free download for Mac OS X, so install it on your computer and get ready to save time and effort. You probably know you can right-click in any application and get access to some assigned actions and menu items like reloading the current page in Safari, or sending a document to the printer. With BetterTouchTool you can actually create a set of custom actions for specific applications that are activated similar to how contextual menus work. For example, when I click on my desktop, I use a simple BetterTouchTool Four Finger Tip to choose from several assigned actions, such as creating a new folder window, launching an assigned application, or enabling Cover Flow. I usually activate this setup when my hand is already on the trackpad. This setup works best for individual applications, unless you prefer to assign actions globally to work in any application. To set up a BetterTouchTool “contextual menu”, select or add an application in BTT, and create a new touchpad gesture. Be sure to choose a gesture that doesn’t conflict with another assigned gesture. Assign a keyboard shortcut or a predefined action to the gesture. Now, add more actions using the same assigned gesture. As shown the screenshot below, be sure to give each action a name in the Notes column of BTT. When the same gesture is assigned in BTT, they will be displayed in a pop-up menu where you can choose which action you want to activate. This BTT hack is much faster and than creating service menus using Automator How To Create Your Own Services Menu Options on Mac How To Create Your Own Services Menu Options on Mac Read More . Some of the most powerful features in BTT are still the predefined actions. For example there’s an action (inside Controlling Other Applications > Send Shortcut to Specific App) for actually sending a keyboard shortcut to a specified application. So for example, from within any application, I can send the shortcut to iTunes to pause or play the currently selected track without having to switch to iTunes. I’ve made this a global action using the “Single Finger TipTap Middle” trigger on my trackpad. I use a similar action for Rdio. As you may know, you can open Notification Center using a default finger gesture, but why be limited to Apple’s assigned “swipe left from the right edge with two fingers”? With BTT you can assign one of several dozens gestures to activate Notification Center. This is also a predefined action found under OS X Functionality. There are several powerful predefined actions in BTT, and I want to point out one more to wet your curiosity. I sometimes open an application in full screen mode, but the button in the right-top corner of an application window can be a hassle to access on a 27-inch iMac. So I assigned a global Five Finger Swipe Up gesture to the predefined action, “Enter Fullscreen.” The assigned gesture will also exit fullscreen mode. This action is much faster than using the cursor. The more you use BTT, the more you will discover the potential at your fingertips. You can hide applications, search the Web for a selected word, open a Finder window, take screenshots, enable AirPlay Mirroring, perform various system actions, and much, much more – using a series of taps, clicks and gestures. If you don’t like remembering dozens of keyboard shortcuts, BetterTouchTool is the program for staying productive on your Mac. if only there was a pc version!! Alessandro, I agree. I would hate having to use a PC without BTT and Keyboard Maestro. I second that comment. Be great for PCs. 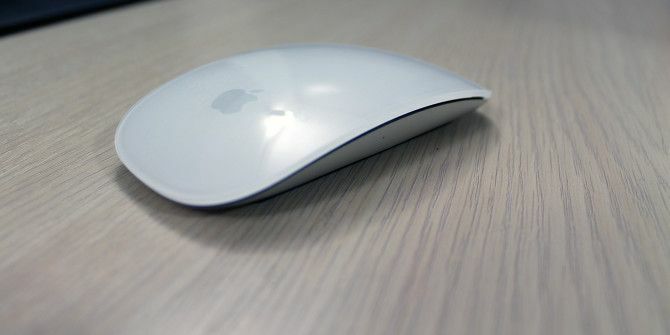 I wish we would have a mouse for PCs that would do the same tasks as the Apple mouse. Agreed, Antonio. BTT is one of the most time saving, clicking saving applications I use on my Mac. I'm surprised a Windows developer hasn't tried to come up with a similar program. BTT though seems to be still in development, despite all its features.